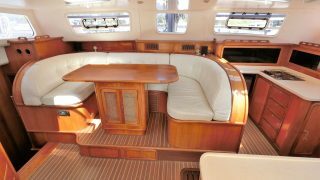 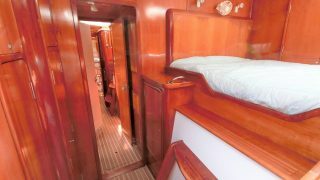 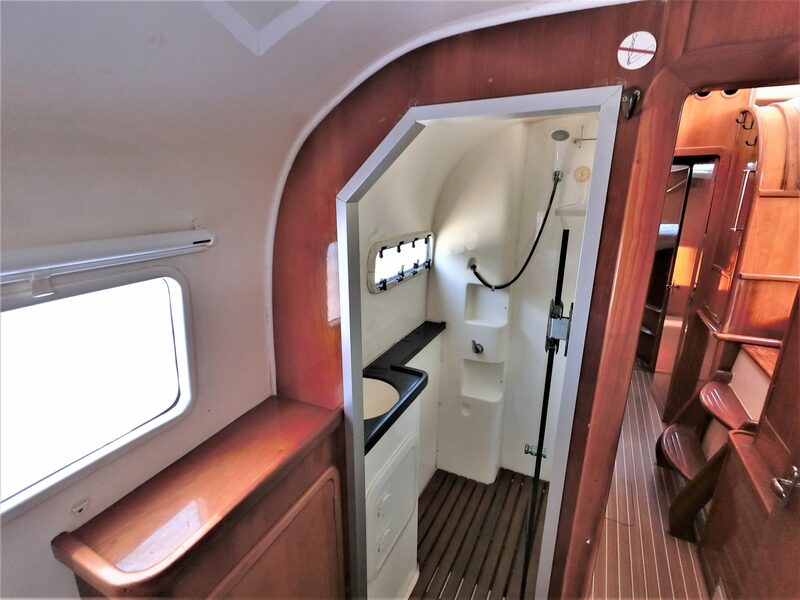 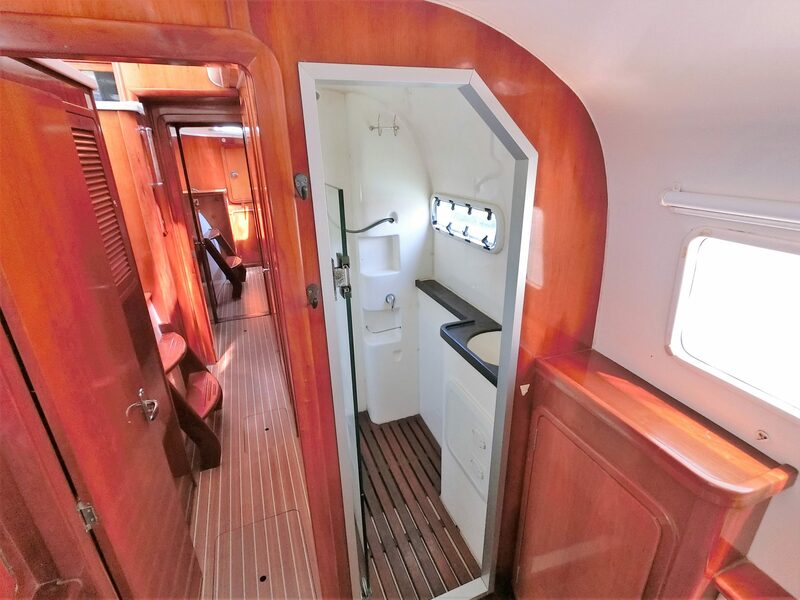 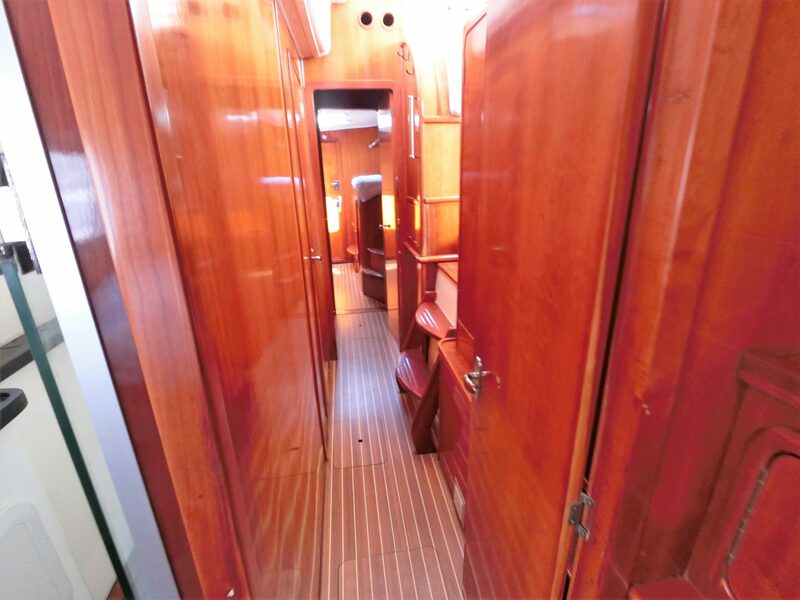 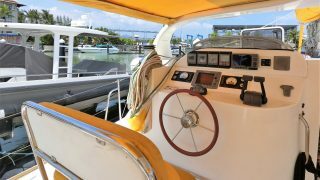 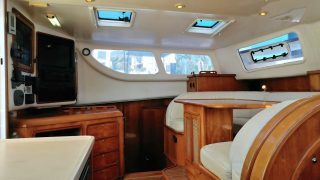 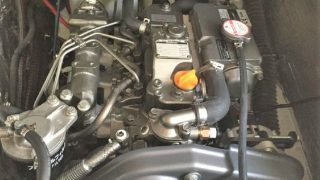 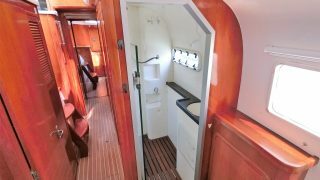 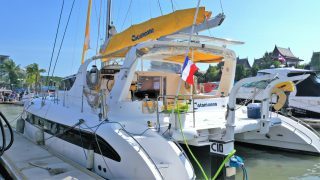 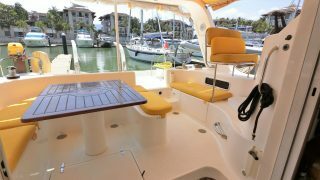 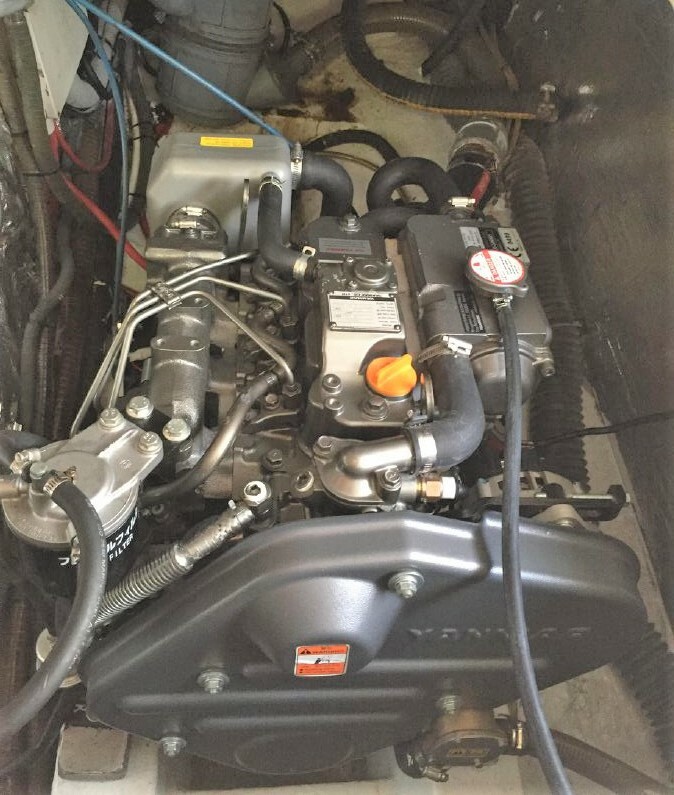 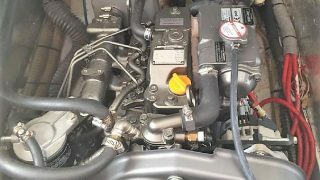 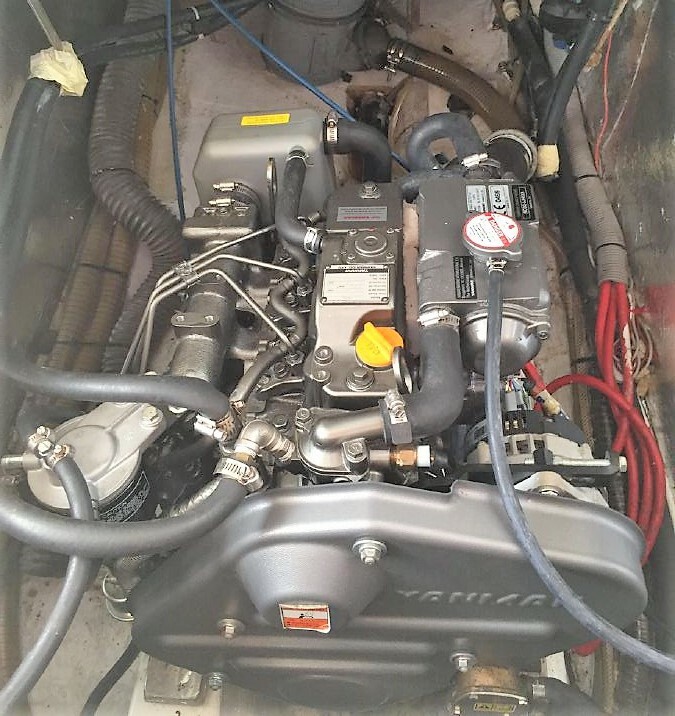 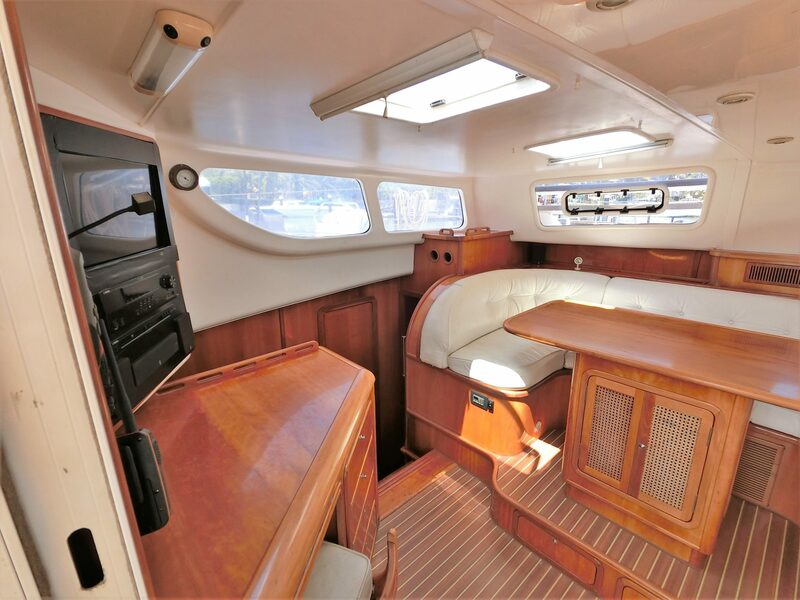 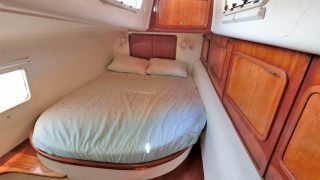 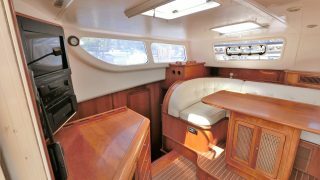 For sale a 2008 model 4 Cabin Owners Version Dean 440 in great condition with most options. 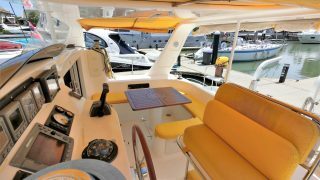 The owner and family have enjoyed her over the years since commissioning her new in Cape Town and have decided it’s time to step ashore and pass on to her next custodians. 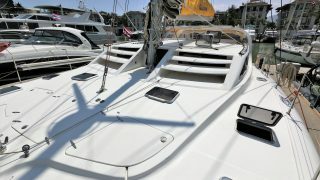 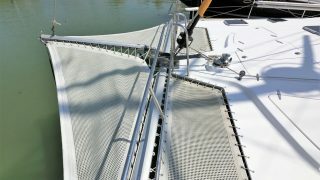 The 440 from Peter Dean’s hand is well noted with their distinctive raked mast and all the controls come handily back to the portside helm located within the aft cockpit so you are still part of the social action while sailing and not stuck out of the way on a fly bridge. 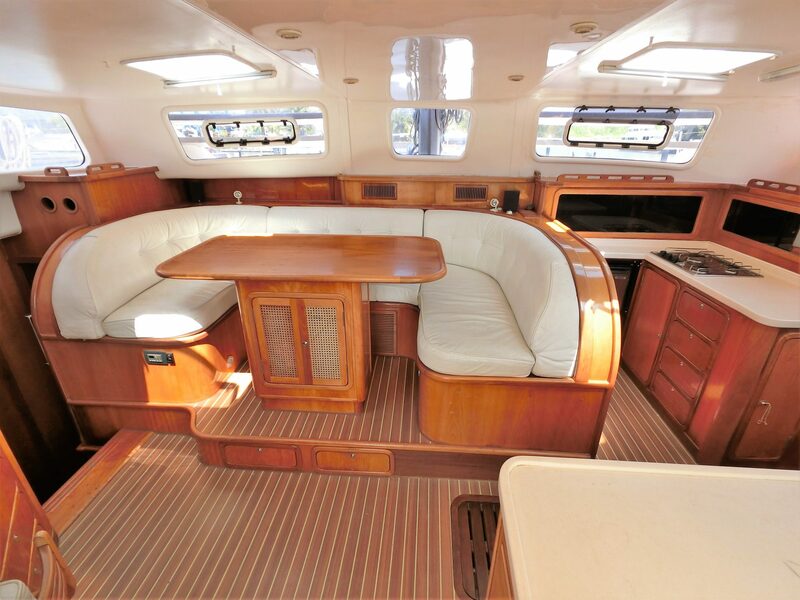 Beautifully fitted out in high gloss cherry throughout she oozes comfort and warmth. 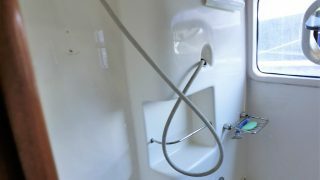 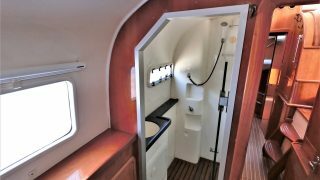 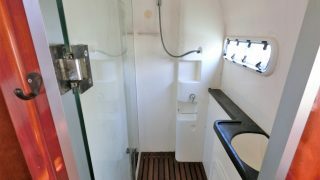 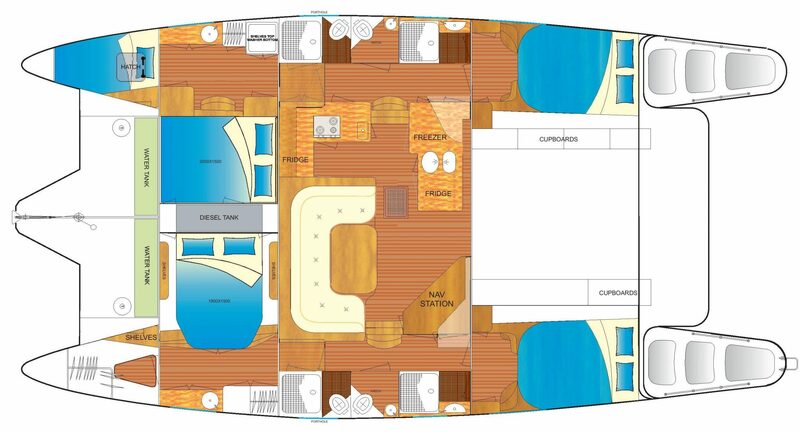 4 cabins with ensuites and bathrooms a plenty ensure comfort at sea is a given. 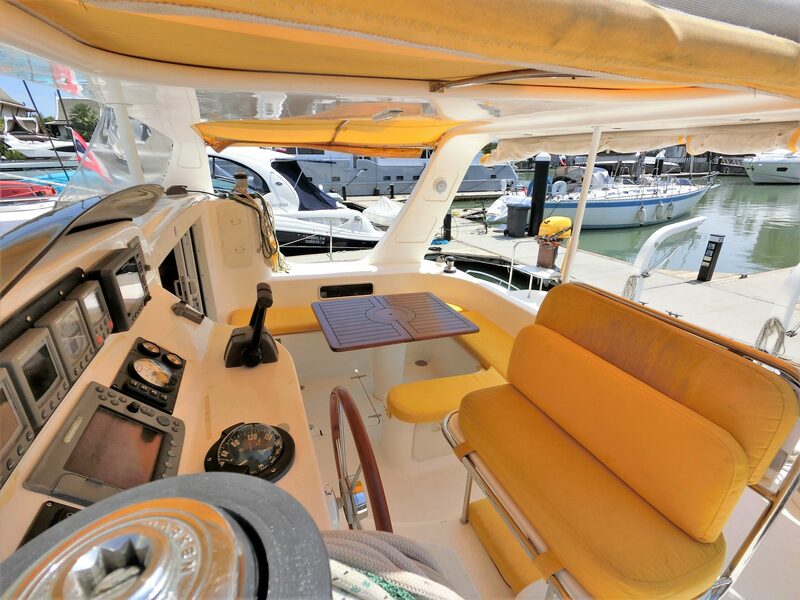 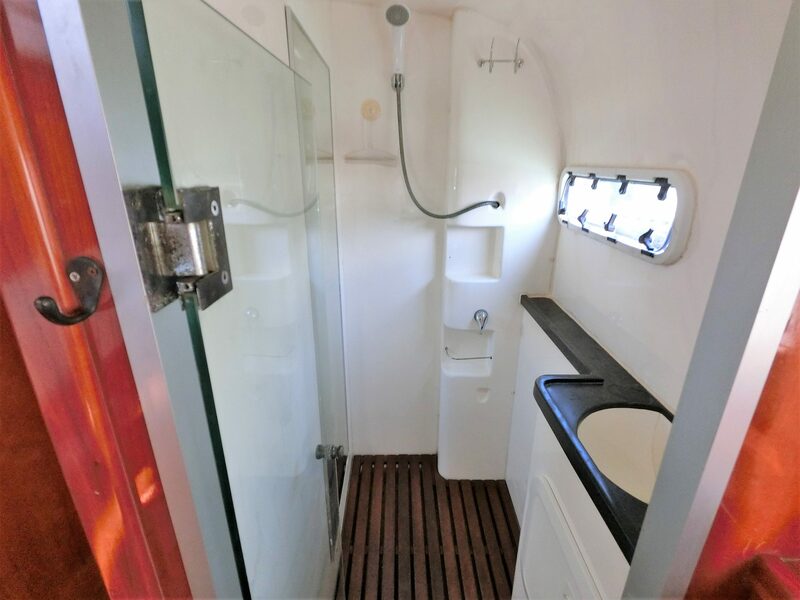 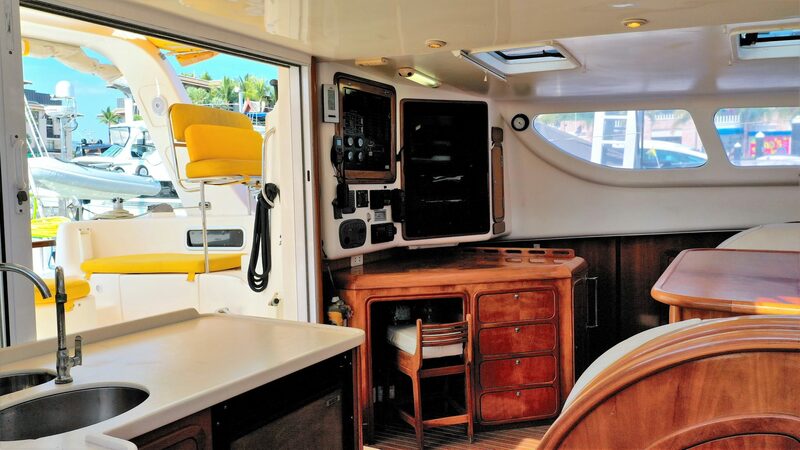 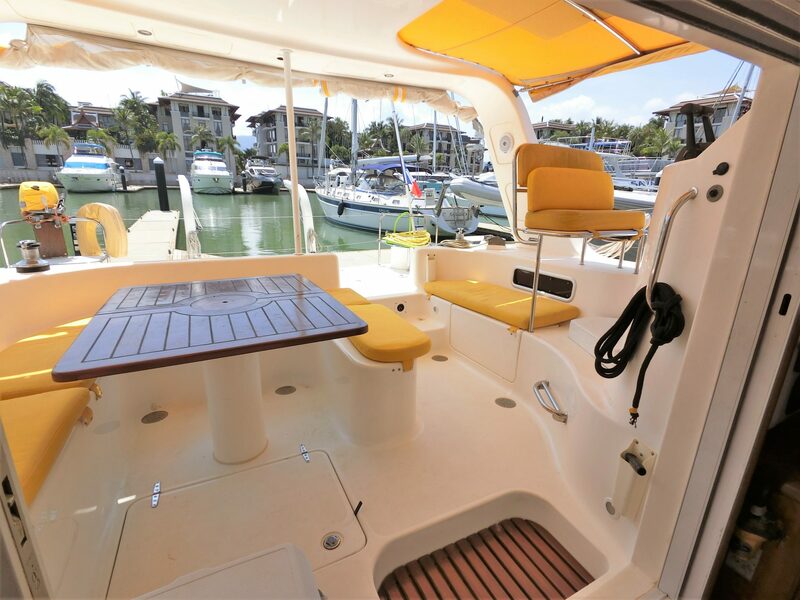 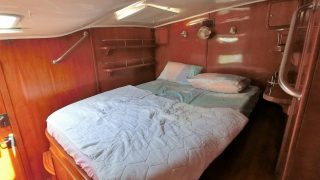 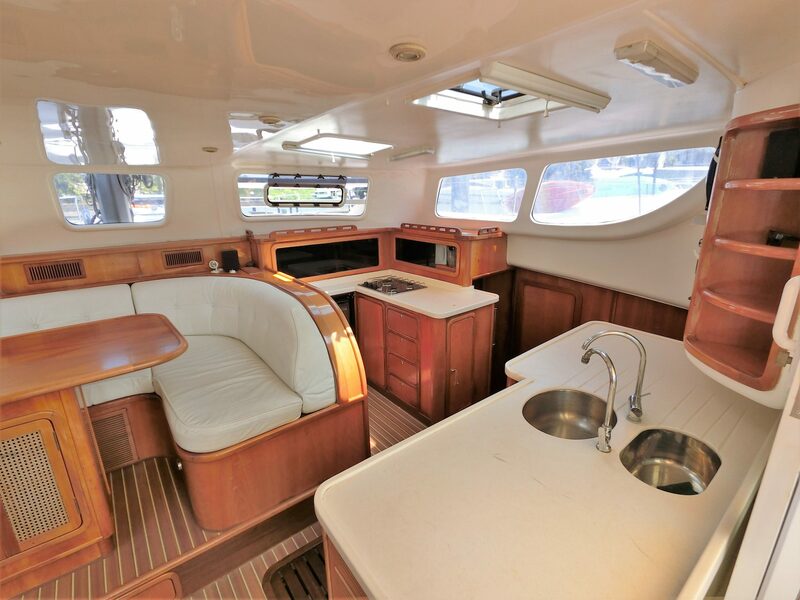 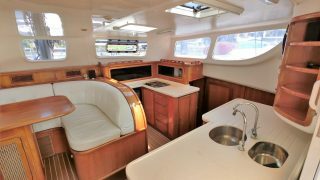 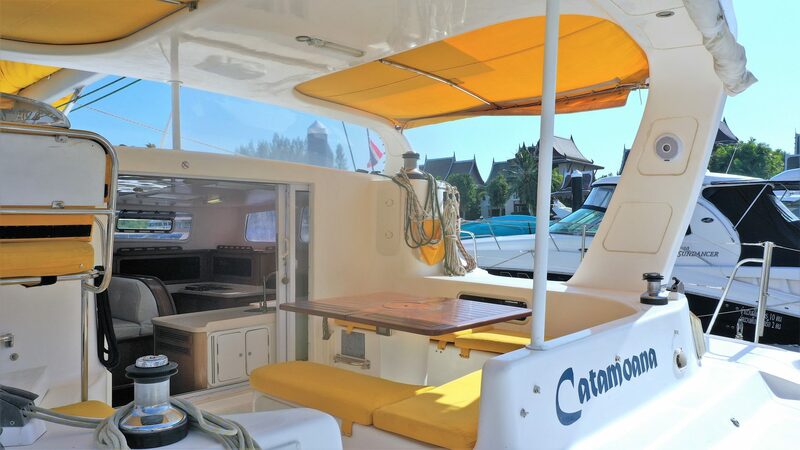 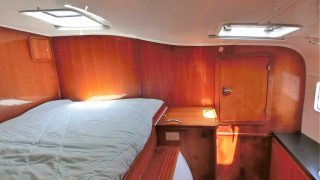 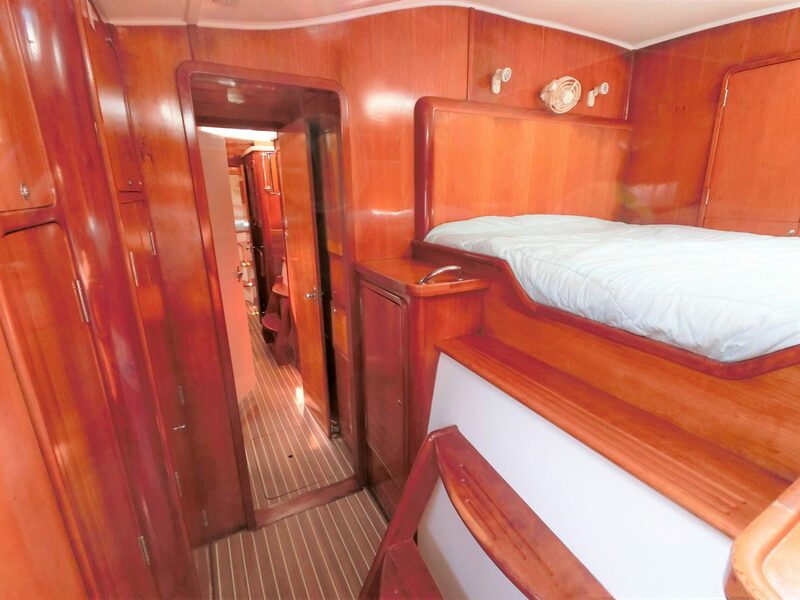 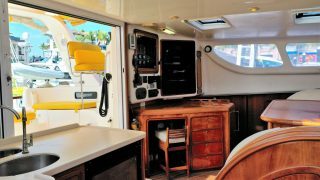 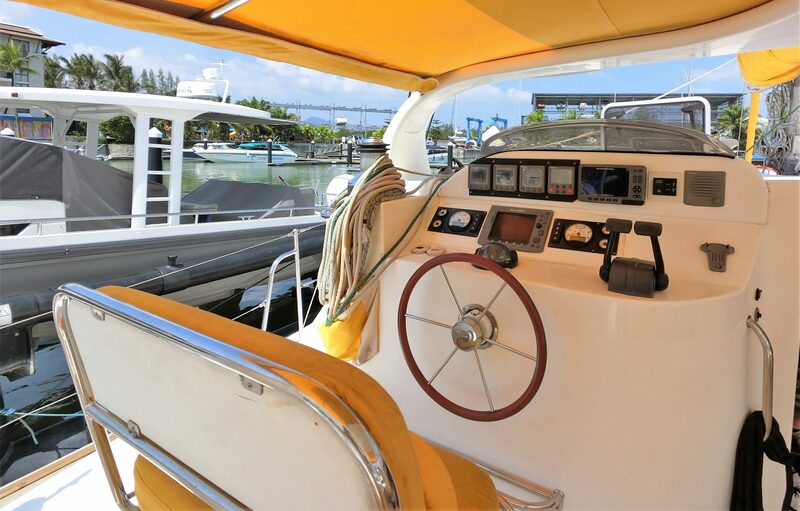 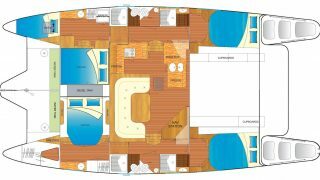 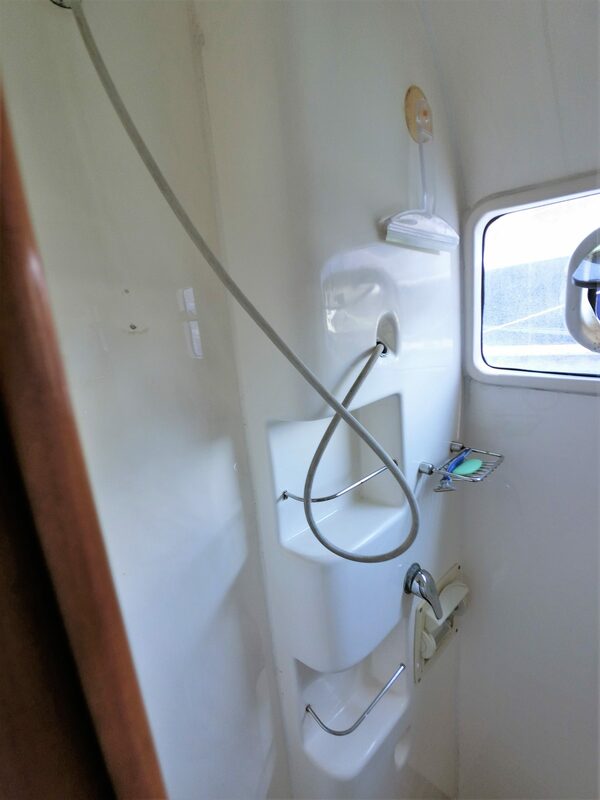 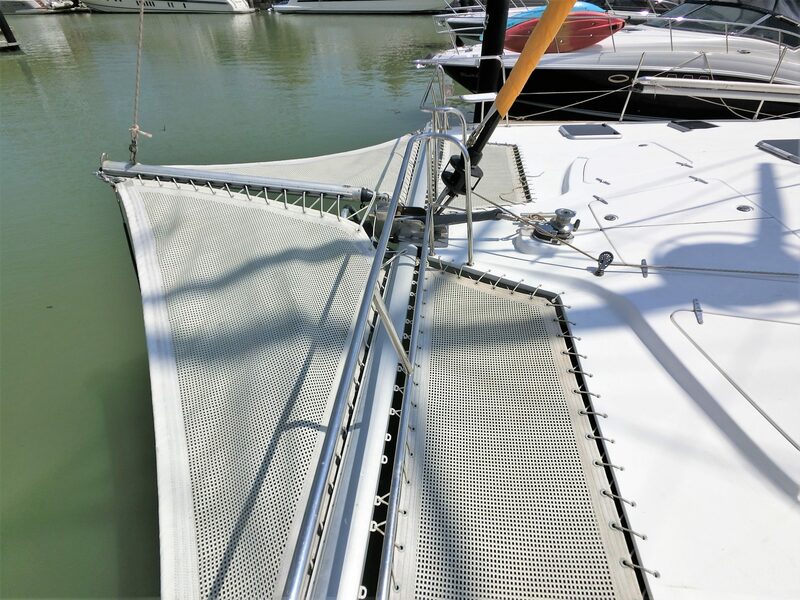 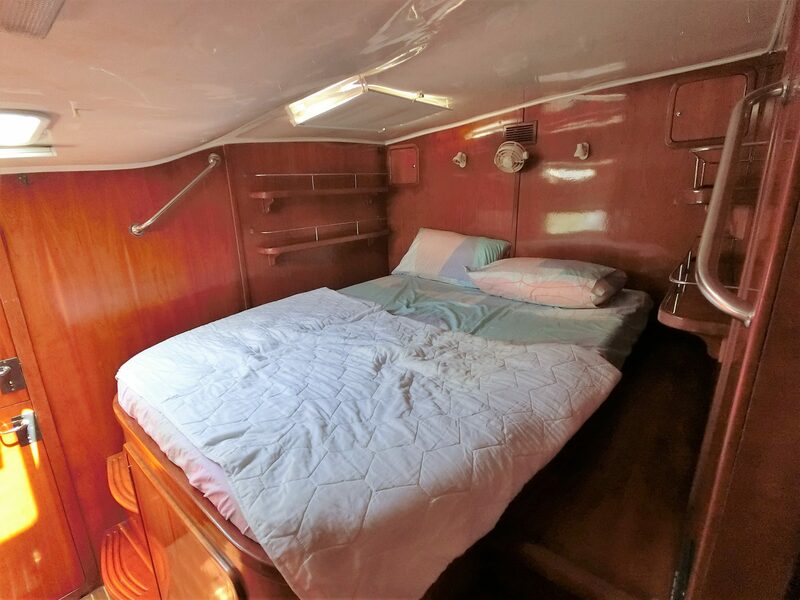 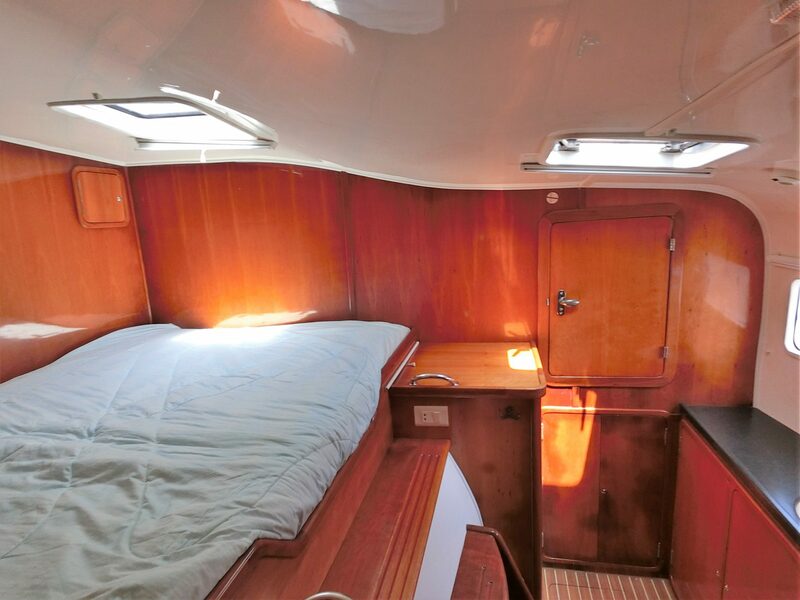 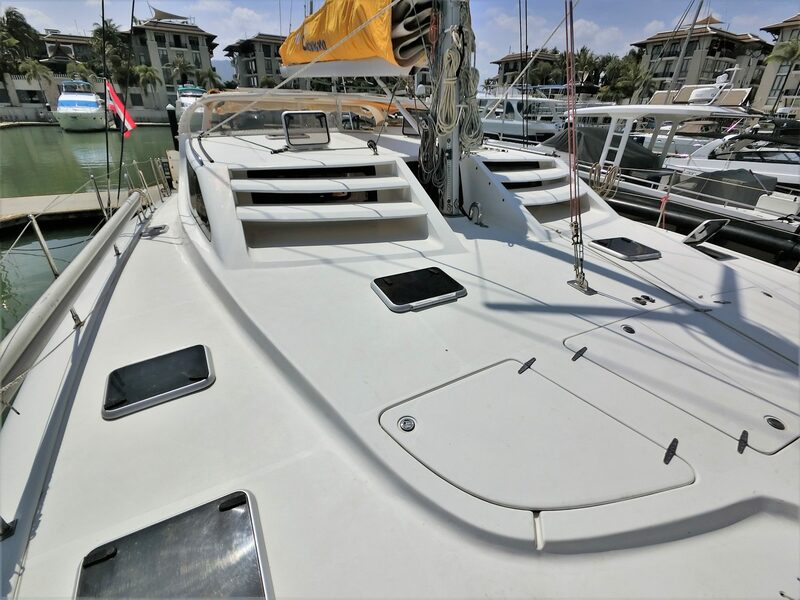 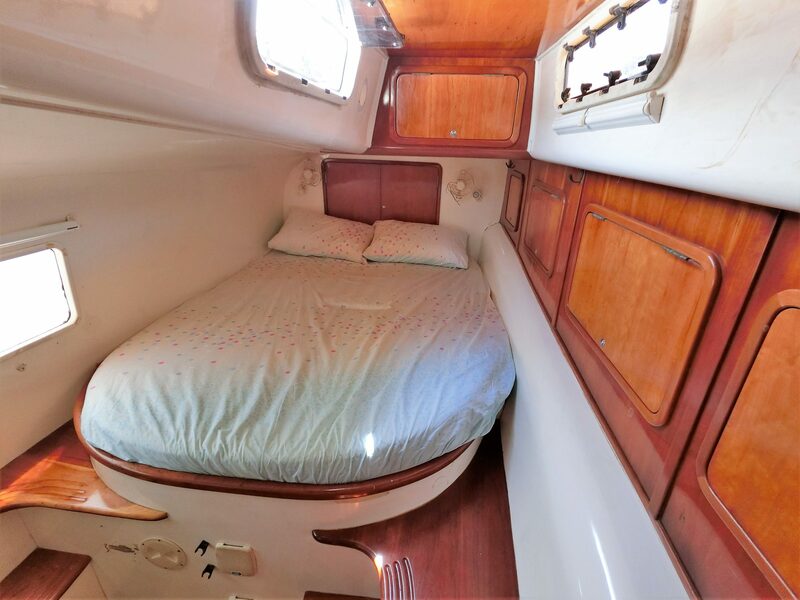 Outside is a large aft deck with strong dingy davits and plenty of relaxation space translate to well thought out design for around the world sailors or those who like to live aboard in comfort with the occasional foray into the deep blue. 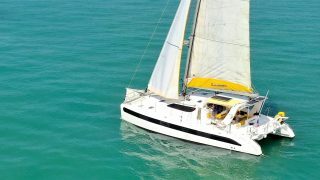 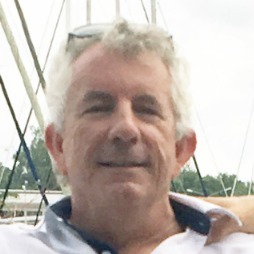 Deans are equally at home in a marina or slipping through ocean swells, which they do on birth as they were all delivered from the factory in Cape Town to their owners, wherever in the world they were. 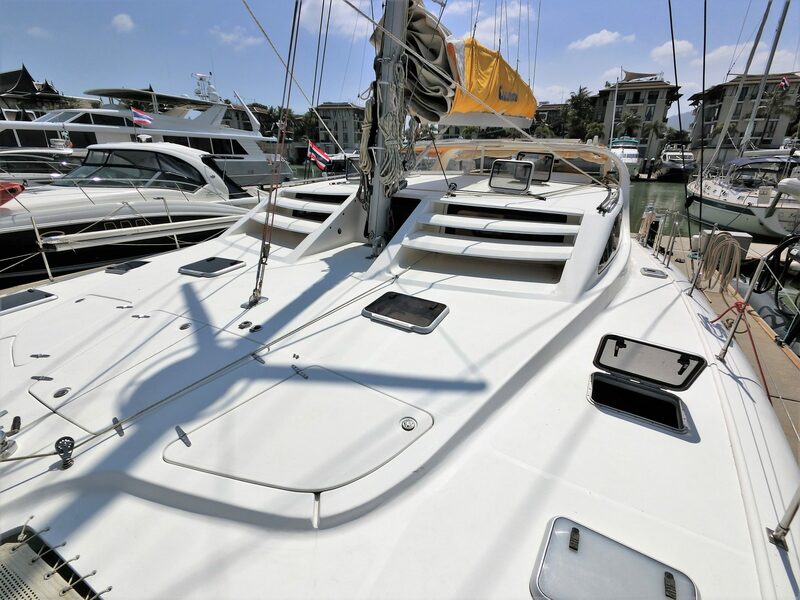 With generous storage space, genset, aircon, water maker and larger water storage she is equipped for extended cruising and ready to sail away. 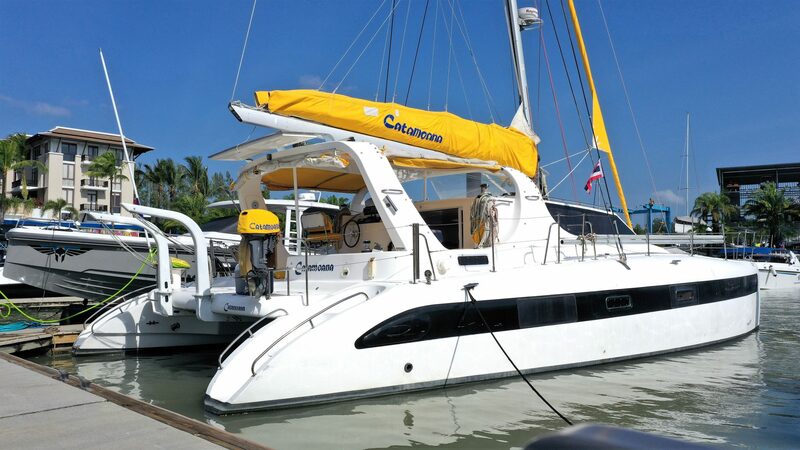 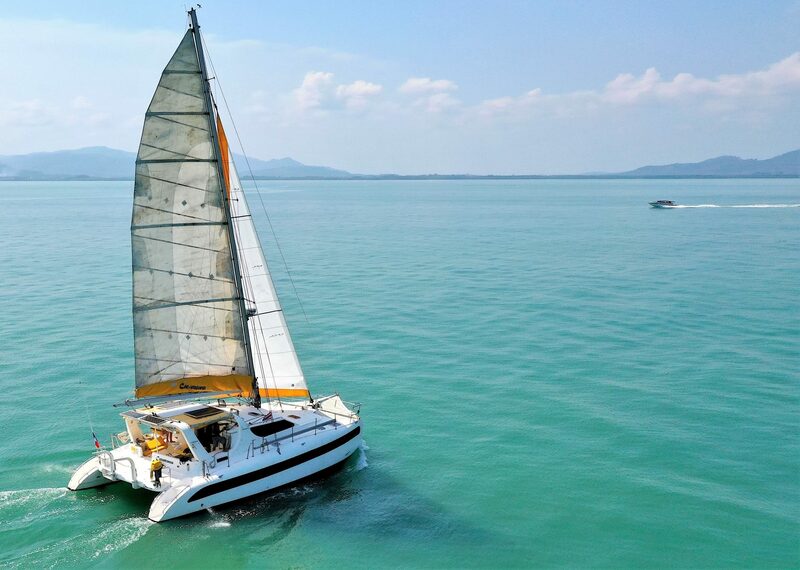 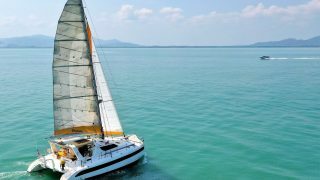 Currently lying in Phuket, Thailand just 20mins from Phuket International airport she is readily accessible for Thailand’s best cruising grounds, or a starter point for your own global adventures. 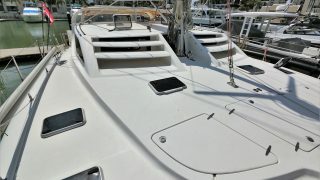 Please see below links to her comprehensive inventory and her walk around video. 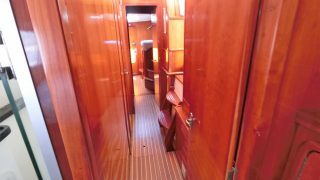 Offers are invited close to asking price please.